Time Flies In just 27 years, Janis Joplin’s lifetime was dotted with many exciting milestones. Behind the Scenes The Woodstock Music & Arts Festival is an American tradition that spans 50 years. Beginner Friendly Everything you need to know about cannabis if you’re new to the scene. Spiritual Connection Cannabis-cultivating nun, Sister Kate, discusses the story of the Sisters of the Valley and their new documentary, Breaking Habits. All That Class Approach 420 differently this year with the intent on elevating the experience. Industry Insider Vangst Founder Karson Humiston discusses her journey in assisting cannabis business owners in finding the best applicants for job openings. CULTURE® Magazine is published every month and distributes magazines at over 600 locations throughout the Southern California. No articles, illustrations, photographs, or other matter within may be reproduced without written permission. 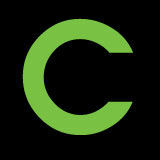 CULTURE® Magazine is a registered trademark. All rights reserved. CULTURE® Magazine is printed using post-recycled paper. by everybody else that’s out there.” The crackdown isn’t finalized, as it would require tens of millions of dollars to fund law enforcement efforts. “It really comes down to how much overtime, how many officers we can have,” Garcetti added. With California’s steep taxes on cannabis, illegal shops can sell it for about half the price of legal dispensaries, once the tax has been added on. According to the Associated Press, some estimates claim that 80 percent of Los Angeles’ dispensaries are illegally operating. In addition, and supporting the mayor’s efforts, the Los Angeles City Council authorized the Los Angeles Department of Water and Power to shut off utilities for illegal dispensaries and cannabis businesses. Alaska Becomes First State to License Onsite Cannabis Consumption While individual cities like San Francisco, California and Denver, Colorado allow smoking or vaping in certain cannabis lounges or dispensaries, Alaska is the first state to implement a statewide policy allowing consumption on-site. Alaska Lt. Gov. Kevin Meyer signed regulations on March 12, allowing licensed cannabis stores to apply for on-site cannabis consumption. “When these rules go into effect, Alaska will be the first state to finalize and approve statewide rules for on-site consumption,” said NORML Executive Director Erik Altieri. “We expect more to follow suit in the not too distant future. Allowing social consumption is sensible from a business perspective, particularly for states with large amounts of tourists who otherwise have no place to legally consume, but it also has an important social justice component.” Licensed retail businesses can apply for an onsite use endorsement beginning on April 11.
keyword “420” to get discounted pre-sale tickets. At a separate event on the same day, KDAY, Krayzie Bone and Wish Bone from Bone Thugs-N-Harmony will host a CBD-infused lunch before their show at The Reserve in downtown Los Angeles. There’s plenty to do, plenty to see, plenty to eat and plenty of hip-hop artists that you probably know well. here’s no question that California cannabis remains a rocky, emerging industry even though entire countries and more than 30 U.S. states now have legalized medical and/ or recreational cannabis. The reasons why though stem from a variety of sources—federal prohibition, the patchwork quilt of regulations across three regulatory agencies, the array of personalities coming into the California industry from black and grey markets, the bad behavior and fraud that abounds with the constant changes in state and local cannabis laws, etc. While there’s a lot of room for improvement that hinges on studying California’s cannabis market and its consumers, here are five negative sides of the California cannabis industry as an emerging market. Unfortunately, most of these are here to stay thanks to the U.S. Department of Justice (DOJ) and the Controlled Substances Act (CSA). Instead of taking the reins and listening to the people to create a federal regulatory framework for uniform oversight and control, the federal government has let the horse out of the barn where states have 100 percent control over cannabis law and policy reform which, in the end, is probably a positive thing since states are better positioned anyway to know the needs and demands of their constituent citizens, and can better navigate specific local health impact issues. Still, the fact that states have to pay attention every time a new U.S. attorney general (this time, William Barr) takes the helm at the DOJ to ensure that its cannabis licensing regimes remain intact is not only annoying, but also a waste of time and resources in that states continually pivot to ensure that the DOJ is kept at bay in this area. Lack of access to banking in California’s industry is the current norm, and it ultimately helps keep cannabis in the shadows and out of reach of full legitimacy and transparency. Even though in 2014 FinCEN issued guidelines to financial institutions for banking in the cannabis industry (despite open violations of the Bank Secrecy Act and anti-money laundering laws), the participation under those guidelines by California banks and credit unions has been slow-going at best. The good news is that these guidelines still exist despite then-acting Attorney General Jeff Sessions rescinding all other DOJ cannabis guidance. 3 . O p p r e s s i v e F e d e r a l Ta x at i o n The third biggest drag on California’s industry that keeps it in its murky, emerging state is the rules of the Internal Revenue Service (IRS), and those aren’t changing anytime soon. Internal Revenue Code Section 280E prevents cannabis businesses from deducting expenses from their income, except for those considered a Cost of Goods Sold (COGS). As a consequence, cannabis businesses are required to determine what expenses are included in COGS and, therefore, what expenses are deductible. To date, very little guidance has been made available from the IRS to help taxpayers make this determination. And all court cases on the topic (with the exception of C.H.A.M.P.) have not been helpful to cannabis businesses. 4 . C o n s ta n t C h a n g e s t o “ R o b u s t R e g u l at i o n s ” b y t h e S tat e California cannabis will forever be a regulated commodity and that means that the rules around it will change indefinitely. The reason why “constant changes” makes this list is because these early days of licensing breed a lot of uncertainty among California regulators as industry issues crop up, so the frequency of these changes in the first few years of licensing help to render and keep cannabis an emerging market. The state’s prohibited products list, as one of the many regulatory issues in play, is a very good example of constant regulatory change as the state decides what products it’s going to allow in the marketplace. Pineapple Wonder by WILLIE’S RESERVE™ Cannabis is quickly becoming an industry that defines what it means to be American. Nowhere else can cannabis be so freely accessed with a variety of landrace and creatively cultivated new strains—and nowhere else can a partnership between Willie Nelson and up-and-coming country singer Margo Price begin to bud. Price’s namesake product, a sativa cartridge filled with Pineapple Wonder, is a great reflection of the “All American Made” line of products grown by Moon Made Farms. This product is a cannabis distillate that contains 85.12 percent THC from a relatively new strain developed specifically with her in mind. One drag of this cart, and consumers are set to feel energized to do anything! Pineapple Wonder is also a great motivator and mood booster, arriving just in time for spring. The subtle sweetness of this concentrate is definitely one to be added to your collection. Available wherever: WILLIE’S RESERVE™ products are carried. Available wherever: Dr. Norm’s products are carried. Consuming cannabis with a balance of THC and CBD has never been tastier, with a blast of peanut butter and chocolate in every bite. Dr. Norm’s Veganfriendly bite-sized cookies come in several varieties, but the 1:1 Vegan Peanut Butter Chocolate cookies each contain 10mg of THC and 10mg of CBD for a total of 100mg THC and 100mg of CBD per bag. Other decadent flavors include several chocolate chip varieties, CBD-only, THC-only and non-medicated. These carefully-measured cookies make titration a breeze, and the discreet packaging doesn’t include any gimmicks or colors that might appeal to children, which is critical for homes with little ones. Each bag conveniently and clearly displays the manufactured date, date tested, expiration date, dosage and the complete analysis of cannabinoid content. Dr. Norm’s continues to prove that the edibles game in California is unsurpassed. Available wherever: Kiva Confections products are carried. Available at: Dispensaries throughout California. Sativa Pure Roll Make everyday life your special occasion, and mark the festivity with a Sativa Pure Roll. Packed with 0.6 grams of premium flower, at first glimpse of the attractive packaging of this joint, you know you’re in for Pure quality. Ripping open the branded bag reveals a cute box that perfectly contains one pre-roll and two matches—complete with a coarse striking service right on the box. Get ready for a heady and creative cerebral effect from this pre-roll, which is hinted courtesy the embossed and subtle seed of life design on the box as well. With 420 just around the corner and containing everything you need for an epic smoke session, CULTURE reviewers noted that sharing this joint between three friends led to instant uplifting and energetic bliss. Get ready to socialize, dance and party at your 420 celebration, thanks to the geniuses at Pure. Available wherever: Dixie Brands products are carried. Sour Smash Gummies The gummy game is on point these days. The Sour Smash Gummies from Dixie Brands are soft and gooey, just how we like them. They are infused with high quality CO2 extracted hybrid oil for a balanced effect. They come 10 to a container, at 10mg THC per piece, which is a standard dose to most. The Sour Smash Gummies come in three flavors—cherry, lime and blue raspberry. We each ate a full 10mg gummy and settled in for the ride. Although they are called Sour Smash, they will not make your lips pucker and they tasted delicious. The hybrid effect was balanced, not too stimulating and not too sleepy. We didn’t feel any anxiety, and once they fully kicked in, about one hour later, we felt uplifted and relaxed. Although the Sour Smash Gummies didn’t have any CBD, we noticed they reduced the inflammation we were feeling in our knees after a long day of hiking. Stop by your local dispensary to see if they carry Sour Smash Gummies or visit Dixie’s website to see where they are sold. JANIS JOPLIN REMAINS AN ICON OF MUSIC AND CANNABIS CULTURE By Simon Weedn A little over 50 years ago, Janis Joplin landed like a meteorite in San Francisco, California’s bustling, late ’60s arts and music scene. Armed with one of the utmost powerful and explosive voices in music history, she quickly became one of the most popular and iconic acts to emerge from the Bay Area, as well as one of rock music’s first female stars. Sadly, just a few years into her career, and right as she was truly coming into her own as an artist, her life was cut tragically short at the age of 27. Though Janis Joplin’s brilliance as a musician continues to live on through recordings that find new fans year after year, her strong presence as a woman in a male-dominated industry, her choice to never hide her romantic relationships with women, and her outspokenness about ending cannabis prohibition are often not as well-known and are woefully underappreciated. “WHEN I BRING HOME MY HARDEARNED PAY, I SPEND MY MONEY ALL ON MARY JANE”. Coast acts and played one of the most blistering sets of the 1967 Monterey Pop Festival, where the band shared a bill with other legendary artists like The Jimi Hendrix Experience, Otis Redding, The Who and Ravi Shankar. Though the band as a whole innovated a noisy, aggressive and textured sound of electric blues, it was Joplin with her powerful, eviscerating voice and flamboyant hippie style that became the stand out. Tell us about the first time you ever heard Janis Joplin’s music. Oh yeah! I was a kid and that was my parent’s music. They were in the Vietnamera counterculture, my dad was a musician, and so that was always playing in the house when I was a kid. I can remember jumping up and down on this super ’80s green corduroy couch that we had when I was five or six years old, and when she does that scream at the end of “Piece of My Heart,” I was frenzied. I was like, “What is this?” Then I heard “Summertime,” and it scared me a little bit. I thought it was amazing, but it kind of scared me. I thought, “Why is she screaming? Why is she crying?” But, she instantly had an effect on me, and I was a fan from single digits. Is there anything different about the way you view Joplin and her music after having portrayed her and interpreted her music yourself for so many years? Well, when I was a little kid I thought she was in her forties; she just seemed so road-worn and had such a tough exterior. But from getting to know her through her friends and family though, the stories they tell gave me such a better understanding of her. I realized she wasn’t just any 27-year-old, she was 27 years old and legitimately the first female rock star in the history of music. She was 27 and coming from a conservative East Texas oil refinery town where she was disappointing her family left and right, because they had what they expected her life to be, and she was doing the exact opposite of that by partying, doing drugs, singing in a band and living in San Francisco. So, there was just such a split down the middle between her wanting to please her family like every child does, but also wanting to be authentic to herself. Of all Joplin’s music, do you have a favorite album that you find yourself returning to more often than others? That’s hard; that’s like picking children. They’re all so different, because she evolved so quickly. Big Brother & The Holding Company’s Cheap Thrills is such raw, hard blues, as well as being youthful, fun and rebellious. Then, with the Kozmic Blues Band and I Got Dem ‘Ol Kozmic Blues Again Mama! Her sound became a lot more soulful. Around that time she did a Stax review in Memphis, [Tennessee], but it didn’t go over very well because the band was under-rehearsed. But she was reaching for that Otis Redding kind of thing. I love that stuff because she was being experimental, taking chances, and her voice was getting better. Then with the Full Tilt Boogie Band and songs like “Get It While You Can” and even “Me and Bobby McGee,” she was at a point where she wasn’t running away from her roots anymore; because she started out singing old folk and country blues. January 19, Janis Lyn is born to Seth and Dorothy Joplin in Port Arthur, Texas. 27—cementing her name among the “Forever 27 Club” along with Jimi Hendrix, Kurt Cobain, Amy Winehouse, Jim Morrison and Brian Jones. Joplin accomplished more in 27 years than most people accomplish their whole life, which is why she was inducted into the Rock & Roll Hall of Fame and is forever a part of American music history. Joplin’s parents notice that Janis, who is a Bluebird junior Girl Scout, craves the spotlight much more than her siblings. After reading about the Beat Generation in Time magazine, Joplin is inspired by poets like Jack Kerouac. Joplin studies art at Lamar State College of Technology and University of Texas at Austin, and there, the school newspaper publishes a story about her entitled “She Dares to Be Different.” She stands out because she occasionally attends class barefoot and wears jeans instead of a dress. At school, Joplin performs with a folk group called The Waller Creek Boys. Joplin, a senior at Thomas Jefferson High School, begins singing the blues with fellow classmates. She is bullied for mingling with African Americans in her conservative community. August 23, Big Brother & The Holding Company’s self-titled album is released. March 16, Joplin & the Kozmic Blues Band perform live on The Ed Sullivan Show, one of the most coveted primetime slots on television at the time. April 19, Rolling Stone magazine gushes about Joplin, writing that “no singer” can accomplish what she has in so little time. June 17, Janis Joplin and Big Brother & The Holding Company play a pivotal and defining performance at Monterey Pop Festival, achieving national stardom. December 1, Big Brother & The Holding Company plays its final performance. After that performance, Joplin uses several other band names such as Janis Joplin & the Joplinaires or Janis Joplin & the Janis Joplin Review before settling on the Kozmic Blues Band. X March 20, Joplin hits number one on the Billboard U.S. Singles Chart with “Me and Bobby McGee,” a song written by Kris Kristofferson and songwriter Fred Foster. The song is ranked number 148 on Rolling Stone magazine’s list of the 500 Greatest Songs of All Time. February 27, Pearl hits number one on the Billboard 200 and stays there for nine weeks. January 11, Janis Joplin and the Full Tilt Boogie Band release Joplin’s final recording Pearl posthumously. January, Joplin, fed up with Texas, hitchhikes to San Francisco, California to join the growing hippie community. Former Texan and band manager Chet Helms insists that Joplin take over as lead singer of Big Brother & The Holding Company. In San Francisco, Joplin links up with future Jefferson Airplane guitarist Jorma Kaukonen and together, they record several songs. Joplin becomes romantically involved with both women and men including Jae Whittaker and Peter de Blanc. Joplin, through long nights of indulgences, withers to 88 pounds. Her friends intervene and convince her to return home to Texas temporarily to clean up from drug use and her affinity for Southern Comfort whiskey. June 4, Now centered and rejuvenated, Joplin returns to San Francisco. June 10, Members of Big Brother & The Holding Company, now headed by Joplin, play their first gig together. Later, the band regularly plays alongside Grateful Dead, Jefferson Airplane, Quicksilver Messenger Service and many other psychedelic bands. August 16, Along with artists like Jimi Hendrix and Carlos Santana, Joplin steals the show at Woodstock with her incredible charisma on-stage. While she arrives excessively late, up to half a million people in the audience are mesmerized by her defining performance. 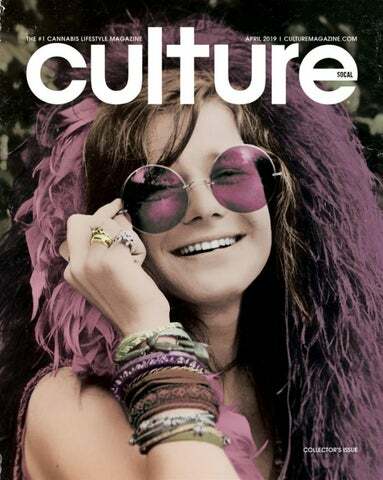 October 29, Immediately after her death, Rolling Stone magazine puts Joplin on the cover. September 11, I Got Dem Ol’ Kozmic Blues Again Mama!, Joplin’s only solo album released while she was alive, is released. October 4, Joplin overdoses on heroin while staying at the Landmark Motor Hotel in Hollywood, California. It’s only two weeks after Jimi Hendrix died, who was also 27 at the time. According to a book by road manager John Cooke, Joplin and many other people in Hollywood that week overdosed from a bad batch of heroin that was going around. Her ashes are scattered in the Pacific Ocean. October 1, Joplin records her own composition “Mercedes Benz” in one take, just days before her death. It would be covered later on by Elton John and The Supremes. By Emily Manke annabis may seem straightforward enough on the surface— it’s a plant that you consume, like tobacco. But its psychoactive and medicinal effects are one-of-a-kind, and the ways in which we can consume and enjoy it are seemingly endless. So what’s a newcomer to the cannabis world to do? There’s a ton to learn, and even walking into a medical dispensary or recreational cannabis retailer can be extremely intimidating. While there is enough information to learn to fill a master’s program, there is also some basic knowledge that can make navigating a cannabis store less overwhelming and more enjoyable. Whether you’re a cannabis novice looking to start from the beginning, or a cannabis expert looking to brush up on the basics, here are some facts to help improve your cannabis experience, just in time for 420.
make humans love it so much. Cannabis growers only cultivate female cannabis plants for this reason. “At the base of the pistil is a calyx. A calyx is made up of plant tissue that is meant to nourish and protect a seed,” Chasen described. “When the pistils are not exposed to pollen, the calyxes swell with plant tissue instead of seeds and these make up the flowers that we consume.” You may hear a budtender or other cannabis expert talking about calyxes, this is what they’re referring to. “On the surface of the flower are trichomes—glandular structures that hold the secondary compounds (cannabinoids, terpenes, etc. ),” Chasen explained. “They are the reason why we have a unique psychoactive experience with each cannabis variety.” These compounds are evident in the crystal coating you’ll see on cannabis flower. Those crystals are full of cannabinoids. Nearly all modern cultivars are hybrids of sativas and indicas. Growers have taken the best parts of cannabis plants and crossbred them to come up with thousands of cultivars that provide as many different effects, aromas and flavors. While most hybrids are listed as either sativa- or indica-dominant, you can’t rely on those categories alone to determine what kind of effects the flower will provide. It’s the cannabinoids inside of it that really count. Strains refer to different types of cannabis. Like roses, tea, tobacco or pretty much any plant that humans enjoy, there are a huge number of cannabis varieties. These strains come in three basic types, which are sativa, indica or a hybrid of the two. Most strains are a hybrid, with one or the other being dominant. While the difference between an indica’s or sativa’s effects are debatable, these types of strains are generally agreed to provide, generally not uniformly, two different experiences. If it’s not strictly a sativa or indica that determines the type of effect a cannabis product provides, how can you tell? Product reviews can help, but more importantly, lab testing has given us the best predictions of all, by isolating each mind-altering cannabinoid and measuring its amounts in any given cannabis product. The psychoactive compounds in cannabis are known as cannabinoids. The chemistry of cannabinoids goes far beyond what any basic description of cannabis can provide. There is a long list of cannabinoids present in any given cannabis plant, and each plays a different role. There are two popular cannabinoids that make a difference for cannabis consumers, however, and those are THC and cannabidiol (CBD). In addition to cannabinoids, terpenes also affect cannabis in both flavor and the effects. These chemicals interact with cannabinoid receptors, which are found throughout the human body, and each has different characteristics and provides different effects. Having a basic understanding of what they are, and their effects, will provide you with enough information to make an informed choice. appetite, and it can even provide a little energy boost. Basically, THC is what gets you high. On a package, the THC content will often be labeled as THCA, that’s because THCA is the molecule found in cannabis, that when smoked, or exposed to heat in another way, will become THC. THCA requires conversion to THC in order to cause effects, which is why eating cannabis flower on its own will not get you high. CBD is another important cannabinoid. While CBD doesn’t get consumers high, it has been reported to provide relief from anxiety, help reduce seizures in those with epilepsy and other neurological conditions, and it may even work as a powerful anti-inflammatory when bound with small amounts of THC. CBD is one cannabinoid in particular that makes cannabis so effective as medicine. Terpenes are the chemical compounds responsible for giving cannabis its flavor and scent. Varying levels of different terpenes in cannabis is why each cultivar has a unique fragrance and taste. Terpenes play another role in cannabis too—in that some of them help us absorb THC, and others help bind to the cannabis receptors in our bodies. Commonly found terpenes include myrcene, limonene, linalool, caryophyllene and pinene. Each terpene has its own unique scent and flavor, and each plays its own unique chemical role in the effect of cannabis. Terpenes aren’t unique to cannabis, as they’re found in many plants and even insects. are dosed accurately, so beginning cannabis consumers don’t run as high of a risk of overdoing it if they’re mindful. Edibles are made when either cannabis plant matter is simmered at low heat with an oil or butter (THC is fat soluble), or more commonly in legal cannabis markets, a concentrate is infused into an edible product. Aside from personal taste preferences, tolerance to THC is the most important consideration to make when selecting an edible. If you’re just starting out, start with a small dose like 5mg of THC or less and wait up to two hours to see how the edible affects you. Like alcohol, how full or empty your stomach is will impact how fast-acting and hardhitting the effects will be. If you don’t feel anything right away, wait before eating more. Sometimes edibles can take some time to take effect. When it comes to consuming cannabis—you’ve got plenty of options. For newcomers to cannabis, edibles are popular. If you’re looking for something a little stronger and more discreet than flower, there are extracts also known as concentrates or hash. You can even buy topicals that you can rub onto your body for that canna-goodness, minus feeling a psychoactive effect. The choice is yours—but here’s some information to help you decide. temperatures create different textures. There’s also solventless concentrate, which uses either ice (bubble hash) or heat (rosin) to extract the cannabinoids. The extraction process typically eliminates terpenes from the final product. Concentrate producers have figured out how to infuse terpenes back into their products, however. There are several ways you can consume concentrates. One of the most popular ways is the vape pen. Some vape pens require using concentrates that are sold in special cartridges, and some can take the raw product. There are other more advanced ways to consume cannabis, but they’re not for beginners. “The veil is being lifted on the mystery of the plant, and we’re all very lucky to be here to see it.” emotional rock bottom. Through compelling on-camera interviews from family members, fellow Sisters, lawyers, preachers, doctors and Merced County law enforcement, Breaking Habits weaves the tale of the struggles and triumphs Sister Kate and her team faced during their California cannabis endeavors. Giving up her old ways, Sister Kate found a new calling by farming high cannabidiol (CBD) cannabis for the sick and dying while forming the women empowerment group, Sisters of the Valley. The Sisterhood was born from a dream to heal the people, the planet and to fight for the justice of the cannabis plant. Airing in 14 different cities in the U.S. on April 19 and can be preordered on Apple iTunes to view at home. We’re all familiar with whiskey tasting and wine tasting events. Now, just in time for 420, we have a new era of tasting—cannabis tasting events. Don’t be intimidated by this doit-yourself option for celebrating 420 in style. These three tips will give you a good start toward throwing your own cannabis tasting party for 420. There are four important aspects to cannabis tasting— taste, aroma, effects and appearance. In order to effectively pair your cannabis strains and concentrates with delicious hors d’oeuvres, make sure you take the following four characteristics of your product into account. TASTE - Your cannabis strains and concentrates are going to have different flavors that range from nutty or chocolatey to citrus or berry, and everything in between. You have a few options when it comes to pairing in regards to flavor. You can choose to pair complementary flavors, or you can pair contrasting flavors. For example, you can pair a Bubba Kush joint, which is known for its woodsy and sweet flavors with a chocolate milkshake, or you can cut through the sweetness with a food that is sweet but also sour, like lemon bars. AROMA - Like taste, aroma is a very important aspect to consider for your cannabis pairing experience. Similar to taste, you can choose to pair complementary aromas or contrasting aromas. This allows the tasting experience to be multi-sensory and very enjoyable. HIKE Cannabis consumers aren’t lazy—get off your behind, and prove this to be true by organizing a group hike on 420. There are two important topics you need to cover in order to have a successful and safe 420 hike. physical effects. Consider utilizing some products that are high in cannabidiol (CBD) to help balance the effects of tetrahydrocannabinol (THC)-rich products. know the four “w’s” of your hike—who, what, when and where. Ensure that you’re safe by having a designated driver to the destination if you’re already consuming, and be aware of the local laws if you plan on bringing cannabis along for the journey ahead. DINE IN STYLE Invite your besties over for a celebratory dinner party. The kicker? It’s up to you whether or not you want to serve infused foods. You can choose to keep the cannabis consumption separate from your fancy meal, allowing anyone to enjoy the meal while offering consumption on the side. push the envelope, and overall, have a great time. come in handy (don’t forget the sunscreen). Be sure to pack a lunch, bring healthy snacks and plenty of water. Finally, to keep you going in the right direction, bring along a compass and a map—you know Google Maps doesn’t work when there’s literally no service, right? Finally, you want to be prepared in the unfortunate case of an emergency, so bring along a first aid kit, and any other emergency supplies you deem necessary. The key to throwing your infused dinner is moderation and strategic dosing. First and foremost, you don’t have to infuse every dish, and the dishes you do choose to infuse should have a low dosage of THC per serving. Also, feel free to infuse some dishes with CBD, which will create a more well-rounded and balanced cannabis consuming experience for your guests. â&#x20AC;&#x153;You name it and the companies were hiring f o r i t, a n d when I asked how they went about finding their employees, they said it was a huge, huge pain for them.â&#x20AC;? he remarkable explosion of the U.S. cannabis industry—from the black market to medical dispensaries to recreational sales in 10 states in a dizzyingly short span—couldn’t have happened without a lot of people working hard to pull this plant from the shadows into the mainstream. At Vangst, the industry’s largest job placement firm, the hard work has been to match some 10,000 job seekers with some 650 different companies, in an industry that has basically grown from no (legal) employees to nearly 300,000 practically overnight. And for Vangst Founder and CEO Karson Humiston, 26, a clean-cut recent college graduate who rarely partakes in cannabis herself, it’s only the beginning, with the industry expected to double in size over the next five years. Many college students spend their time at school, studying, waiting tables or passing out under them. Humiston, at a small liberal arts college in upstate New York, spent her free time founding a travel company for students, which allowed her to build a large email database. In 2015, she emailed the students about their post-graduate hopes, and was surprised to learn 70 percent of them wanted to work in the cannabis industry—despite the fact only four states had legalized adult-use. have to use professional recruiters who charged a healthy percentage of the new employee’s salary for their services. She saw a need and took a chance to fill it. 1. Heat a frying pan to medium-high. Season both sides of chicken breast with salt, pepper and any other preferable spices. Add a drizzle of cannabis-infused olive oil to pan. Once heated, cook chicken until no longer pink in center. Remove from heat and let rest. 2. Add another drizzle of olive oil in the same pan. Add in mushrooms and cook for three to five minutes or until tender. Season with salt and pepper. 3. While mushrooms cook, slice cherry tomatoes in halves. Chop romaine lettuce. Slice lime into fourths. 4. Use a fork to shred rested chicken. Place in a large mixing bowl, and mix with mayonnaise. Lightly season. 5. Open up tortillas and place shredded chicken mixture into the center. Smooth it out. Top with ample amounts of lettuce, tomatoes and a squeeze of lime. Wrap up, and enjoy! 1. Cut avocado out of its shell, and mash it in a bowl. Add a few pinches of salt and pepper as desired, followed by cannabis-infused oil. 2. Spread ample cream cheese onto toasted bread, followed by arugula and topped with mashed avocado. 3. Top with cranberries, hemp seeds and sesame seeds. Serve immediately. powdered sugar into the mixer. Using a spatula, gently fold the mixture onto itself until properly combined (when the batter drips from the spatula and dissolves back into the batter, then itâ&#x20AC;&#x2122;s ready). 5. Place the batter into a pastry bag with a round tip, and create 1.5-inch circles on both baking sheets. Lift the baking sheets up an inch from the counter and let them drop down (this helps remove air bubbles). 6. Let the piped macarons sit at room temperature for at least 30 minutes. Preheat oven to 300 degrees F.
7. Once the macarons have rested, place them into the oven and bake for 18 to 20 minutes. 8. Remove from oven and let cool. 9. For the filling, heat heavy cream on a stovetop until it begins to simmer. Pour over heat resistant bowl of chocolate chips and mix thoroughly until well combined. Add peppermint extract and continue to mix until thick. 10. Finish by piping the chocolate mixture onto the back side of a macaron, and finishing with another macaron cookie on the other end. Instructions: 1. Apply salt to the glass by wetting the rim with water, and then dipping the glass upside onto a pan of salt. 2. Shake tequila, triple sec, lime juice, Midori and cannabis tincture. Add ice or serve chilled. The greenhouse is about 2,400 sq. ft. It was completed in 2018 and is still being filled with plants. The fluorescent lights are used to break up the dark cycle. Most cannabis plants require a long period of uninterrupted darkness to flower. By breaking the dark cycle once or twice for just a few minutes each evening the plants remain in vegetative. Once the lights are turned off permanently, the plants begin to flower. TIP OF THE MONTH Now is the time to take clones of your favorite plants for sowing outside in a month or two. Give the clones only 18 hours of light per day with a six-hour dark period so they don’t go into shock and immediately start to flower when placed outdoors. Give the clones moderate light until they start developing roots, about 10-15 days. Then transplant them into bigger containers. Young plants in fivegallon containers are growing vegetatively. The canopy is uniform height because all the plants in the group are clones of a single variety. Plants in the fourth or fifth week of flowering. Young flower almost three weeks old. Copyright by Ed Rosenthal. All rights are reserved. First North American Magazine rights only are assigned to CULTURE Magazine. No other reproduction of this material is permitted without the specific written permission of the author/copyright holder. Kenimond—right in the middle of a misdemeanor assault and trespassing trial for Lopez Island resident Dustin Schible. According to the Seattle Times, Loring alerted Superior Court Judge Donald Eaton to the video, and Eaton dismissed the charges against Schible, citing government misconduct. Krebs, who controls the cameras, said he was concerned about the defendant, who had threatened to stab a Lopez Island grocer. He claimed he didn’t pass on anything he saw with the camera, and County Prosecutor Randall Gaylord said no one in his office received any information from Krebs. “We are independently elected officials,” Gaylord said, distancing himself from Krebs. BRIGHT IDEAS The long, harsh winter must be getting to folks in Muskego, Wisconsin, to wit: Police were called to a home on Feb. 22 after “a big teddy bear” was reported to be at a neighbor’s front door. As it turned out, the humansized panda—not native to the Badger State—was a 48-year-old man who had been asked to check on the dogs and thought it would be funny to prank his neighbors through their security system. “I knew my neighbors had cameras, and I thought I was going to make the ordinary extraordinary and dress up in the panda suit,” the unnamed man told CBS 58. Apparently he has also picked his daughter up at school and met her at the bus stop in the suit (pandas are her favorite animal).